In a Nutshell: Most parcel carriers can easily track the path — from origination to delivery — that online retail packages take. The same can’t be said about the millions of dollars transported to and from the Federal Reserve, banks, and merchants each day by armored carriers. Most carriers use proprietary tracking technology that stops tracking when packages leave their area of responsibility, which makes following the transportation of money cumbersome and confusing. 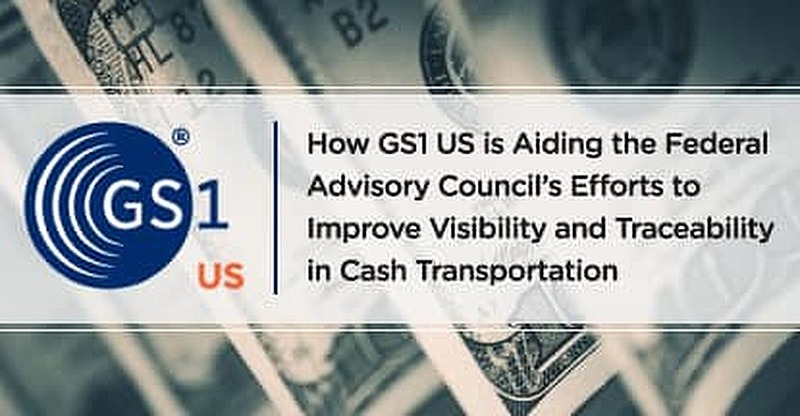 Enter the Cash Visibility Project, a joint effort between the Federal Advisory Council and the nonprofit GS1 US that aims to take the GS1 US barcode technology and employ it in cash transportation. Limited testing showed the interoperability of global barcodes reduces the time cash spends in docks by as much as two-thirds. Barcode usage also minimizes cash discrepancies and makes tracking cash transportation as simple as following the delivery of an online purchase. Anyone waiting for the arrival of an important package knows the frustration of constantly refreshing online tracking numbers in anticipation of its delivery. Thankfully, modern postal tracking technology allows near real-time updates of the location of a parcel and when it will arrive at its destination. I recently made and tracked an online order that was shipped from Seattle to my home in Florida. Along the box’s journey, I received multiple emails each day with updates on its location. On the day of delivery, the US Postal Service provided an estimated time of arrival that was 20 minutes shy of being exact. Every day, millions of packages are shuttled around the globe, tracked by barcodes that are scanned at each stop. The information from the scan is uploaded to the carrier’s website and passed on to the consumer for added transparency and security. But what if a barcode only worked on a specific leg of its journey to your home? Imagine the hassle if a new tracking number was generated every time your package made a stop and was transferred to the care of a new person. Surprisingly enough, that’s the system many armored carriers use when transporting cash between the Federal Reserve, financial institutions, and merchants. The proprietary tracking systems of many major carriers stop tracking a parcel when it leaves their care, making an entire pallet of cash harder to track than the $10 paperback book I bought online. GS1 US is a not-for-profit organization that develops and maintains global standards for business communication. The organization’s most identifiable work are the barcodes printed on the packaging of just about anything consumers buy. 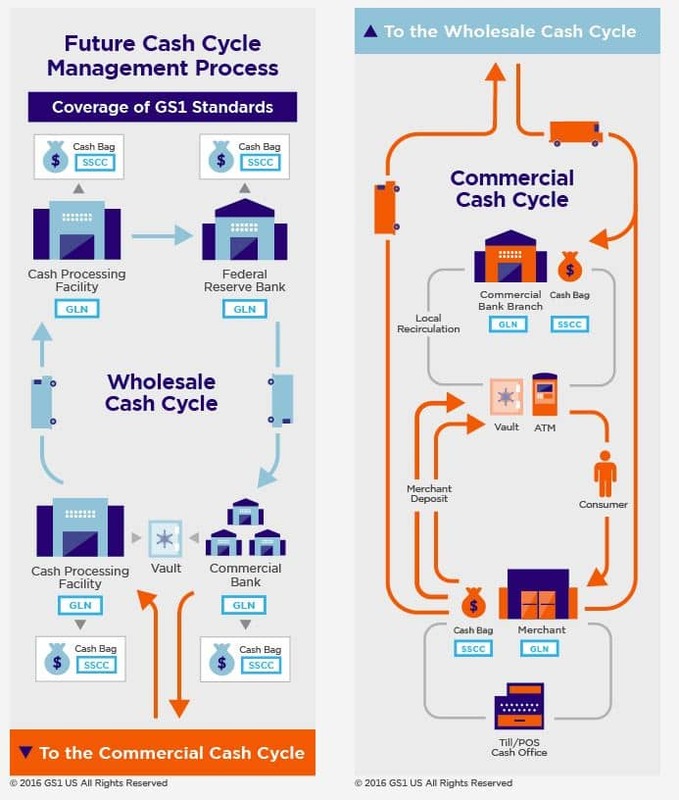 In 2014, the Federal Advisory Council contacted GS1 US about leveraging its barcode solutions to add visibility and interoperability to the transportation of cash around the country. “Today, there’s not a lot of visibility as to where specific pieces are in a transportation chain, whose custody they’re in, or where they are in the process of getting transferred between an armored carrier and a financial institution,” said Carrie Wilkie, SVP of Standards Management at GS1 US. In four years, the Cash Visibility Project has grown rapidly and is moving toward becoming the standard method of moving money in the US. Under current tracking methods, a regional armored carrier transporting cash from a merchant to a bank outside of its territory would stop tracking the package as soon as it’s handed off to a new carrier in the next region. The GS1 US solutions add universal barcode and end-to-end tracing capabilities, meaning the same barcode and tracking number would operate from origination to destination. The diagram shows the route cash will take under the Cash Visibility Project’s Proposal. The proposed system is similar to one instituted in Germany earlier this decade. The new methods increased security and traceability in cash packages, which led to the Federal Reserve reviewing how transfers are currently conducted in the US. GS1 US was a natural fit to partner in the project, as the nonprofit already has much of the technology currently in use through the consumer supply chain. Limited proof of concept testing in 2013, shortly before GS1 US came on board, used uniform barcodes to measure the time needed to check packages at docks — the equivalent of mail sorting centers. The switch from manually keying in package numbers to scanning barcodes reduced a package’s total dock time by between one-half and two-thirds. 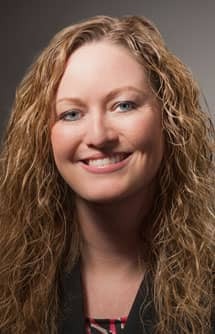 Carrie Wilkie is the SVP of Standards Management at GS1 US. Wilkie said the proposal also calls for the future implementation of eManifest documents to drastically reduce the time it takes to resolve cash discrepancies. An eManifest works as a what-to-expect file for armored carriers. Merchant retailers can scan packages into a portal that details what is included in the pickup. Once on-site, carriers can scan package barcodes using the packing list from eManifest to make sure they match. When I sat down with Wilkie to discuss the Cash Visibility Project, the main question I left with was why the system hadn’t been implemented years ago. The shipping of my book order from Amazon seemed more transparent and traceable than the movement of untold millions of dollars to and from merchants, banks, and the Federal Reserve. Something seems wrong about that. But Wilkie explained that transitioning these well-established systems takes time. If GS1 US’s vision comes to fruition, the nonprofit’s tracking standards will see broader adoption through 2018, with mass changes occurring within the next two years. A larger proof-of-concept test, scheduled for May 2018, should provide a better picture of where the project is headed. In the meantime, seemingly small changes are taking place that Wilkie said she hopes will provide big returns in the future.